We have very few problems of this nature. 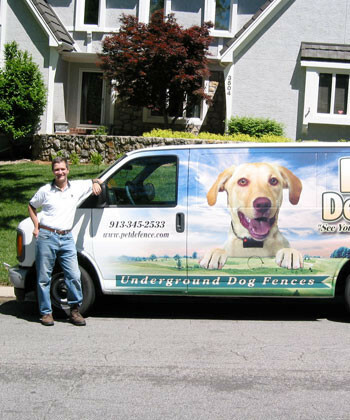 Over the years we find that most of the time when someone says their fence is not working or the dog thinks there is a “hole” in the fence, or the dog leaves the yard when there is snow on the ground, we find it is usually a user problem. This is a very difficult thing to have to say to a customer, so please, check out the following section on “What is a properly fitted collar?” and all battery issues on this page or click on “How to change the shock level on my Pet Stop collar” or “How to change the shock level on my PetSafe Professional collar” before you call for service, as we charge to come to your home for all services. What is a properly fitted collar? Each time you put the receiver collar on your pet, check that it fits properly and the contact posts make firm contact with your pet’s skin. If necessary, shave an area under your dog’s neck about the size of a deck of playing cards, and use longer contact posts. Stand your dog up on all four feet. While keeping your dog standing on all four feet, press the head and neck down so that the top of the head and neck are level with the shoulders of your standing dog (imagine your dog posing like a hunting dog on point, or even with his nose to the ground, like a hound). It is absolutely critical that you position your dog as described above. Do NOT test the fit while your dog is sitting on their rear. Remember, your dog leaves the yard on all four feet with the head pointed out, or nose to the ground, not scooting out on their bottom! If your collar is looser than described in step 5, remove the collar, shorten the length and repeat the process starting at step 1 until the collar is properly fitted. Once the collar is properly fitted, put your dog on a leash and walk or force it into the fence to reintroduce it to the shock. You will do this to show your dog that the fence is working again. 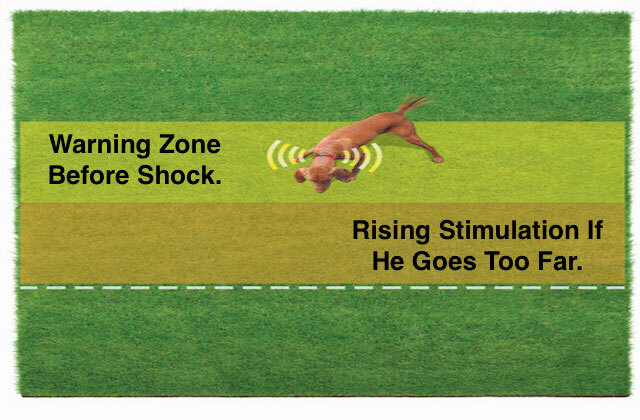 This allows your dog to get shocked under a controlled situation, eliminating the chance that it will think the fence is still not working causing it to mistakenly wander into or through the shock again. This should prevent additional “run-throughs”. Note: Shorter hair on your dog’s neck is preferable to an over-tightened collar. Take your dog to your groomer, or cut it yourself with electric shears. The hair should be 1/8 of an inch or shorter. Cut the neck from the bottom of the chin to the top of the chest, from ear to ear. This area is about the size of a deck of cards on most dogs. A “wet” feeling under his neck or on his collar when you take it off. An ongoing foul smell that does not go away after bathing your dog. A gunky, smelly build-up on his receiver collar usually paired with the foul smell and wetness of the dog and collar. Should a rash or sore develop, call your vet immediately for professional treatment advice. The dog should be getting shocked if it goes too far. Note: If you do not hear the collar beeping, please consider testing it on your own fingers. Touch both points on the collar while it is ticking or beeping. If you do not feel a shock, then there may be a problem with the receiver collar. Make sure you touch both points on the receiver at the same time when you hear the collar beeping. It will tell you definitively that the fence is or is not working. It is a good thing if when you test your collar at the signal field and it makes continuous “Beep, Beep, Beep” sound. However, just because the collar makes noise, it does not mean that the shock is turned up high enough to get the attention of your dog. Therefore, you may need to change the shock level OR tighten the collar or shorten the neck hair or adjust where the collar is worn to a higher position on the neck or ALL THE ABOVE. My collar receiver does not beep anymore, but it still shocks. There is nothing that can be done to make a collar’s beep audible again. A collar does not have to beep for the dog to remain contained. The proof is the fact that we have trained several deaf dogs over the years, and they all stay in the yard quite well. However, if you want your collar to beep, call us. We can discuss warranty options with you. Also, sometimes the beep sound is too soft for you to hear. This does not indicate that your collar is not working, only that you do not hear it. Chances are, your dog hears it just fine. My dog does not yelp or cry out when he gets shocked. We have gotten calls that the collar is not working because the dog is not crying or whimpering when he gets too near the fence. This is not fool-proof evidence that the fence is not working. Test it yourself. Some drama inclined dogs will always cry out. Others may never. The objective is containment, not vocalization. The RED LIGHT on my collar is on all the time. How do I turn it off? This is an indication that there is something wrong. The light should either be off, indicating the battery is good and the collar is operating normally, or off, indicating the battery is dead (see other section on testing the battery), or flashing to indicate a low battery situation. If the light is steady “ON”, the collar probably still beeps and shocks, but the battery is being consumed faster than normal. You can test the collar to see if it is working, but you probably cannot adjust the shock level. This scenario cannot be remedied beyond attempting to remove the battery for a few minutes. After the light goes out, put the batteries back. This is akin to rebooting a computer. If the situation continues after trying this a few times, for the sake of your dog’s safety, you should call me to arrange a replacement. The RED LIGHT on my collar was flashing, so I changed the battery. Now the collar does not work. We hear this a few times a week. Often people think that the collar is not working after the battery is replaced. People expect the light to now come on steady because the battery is new. Wrong. A new battery does not make the light come on steady. The light goes out. Unfortunately, the light also goes out if you put the battery in wrong, or if you put a bad battery in, or put no battery in at all. Why is my collar beeping all over the house and yard? Take the collar off your dog immediately and unplug your wall-mounted transmitter (the box on the wall in the garage or basement). If your collar stopped beeping when you unplugged the wall-mounted transmitter then there may be a problem with your wall-mounted transmitter. Plug the wall-mounted transmitter back in and press the bottom button on the wall-mounted transmitter to turn the “Field Range” or signal down. You might look at the label we placed on our card next to your wall-mounted transmitter. We wrote a number on that label. If the number displayed on the digital readout on the wall-mounted transmitter is bigger than the one we wrote on the label, then use the “Down” button to adjust the signal back to the proper setting. Call us if this does not fix the problem. If unplugging the wall-mounted transmitter did not make the receiver stop beeping, then a neighbor may have their wall-mounted transmitter turned up too high. Call your neighbors. Like you, we have no control over your neighbors. My dog left the yard and there is snow or ice on the ground. Neither snow nor ice affects your dog’s fence. It does, however, affect your dog’s perception of the boundaries of the yard. Imagine this… Every landmark on the ground is now covered by snow. Therefore, your dog no longer properly judges where his edge of the yard is at that moment. He must re-learn. If the dog got shocked and backed up, then you do not have a problem. If your dog ambled through the shock or beep and did not care, then go to the top of this page and start troubleshooting. Start with the section on “What is a Properly Fit Collar”. Note: If you take your collar out into the yard and test it as I describe on this page, and it is working and your dog is still leaving then you have a contact issue or it needs to shock harder. No Beep and no Shock means you need to start by replacing the batteries then test it again. Consider that you need to change the shock level OR tighten the collar or shorten the neck hair, or adjust where the collar is worn to a higher position on the neck or ALL THE ABOVE. Why does the collar keep falling off my dog? The primary reason that a collar would come off of a dog is that the clasp securing the collar on the dog is damaged or broken. Often the damage is not readily apparent. If you closely examine the clasp, you will see one or two things that will give this condition away. You may see a hairline crack in the female part of the clasp and usually teeth marks. This kind of damage comes from a dog chewing on the clasp. This happens when you have two or more dogs. One dog will occasionally chew on the other dogs’ collar. You may confirm this problem by slowly inserting the male end of the clasp into the receiving end of the clasp. As you insert, observe the female part. Does it slightly expand and expose a crack? A cracked receiving end will allow the buckle to open under the right amount of stress. You may also see obvious damage to the male part of the buckle. This damage is pretty unmistakable as dog chew problems. Do not delay. Replace the nylon collar immediately. The longer you wait, the more likely your dog will get the collar off and lose it behind the bushes allowing him to escape and requiring you to purchase not just a new nylon collar, but a new receiver as well. See the top of this page about our service parts store. Another reason for this problem would be that the collar is too loose. A properly fit collar cannot be tugged or pulled over the head of the dog. How do I replace the nylon collar? We have a ready supply of replacement nylon collars. Please visit our store for a replacement. This is a user serviceable item and is not considered a warranty item. You can replace the nylon collar yourself (or call us for a service call) with pliers or a small wrench to grip and turn the points counter-clockwise (lefty loosey). Once the points and point retainer(s) are off of the old nylon collar, you will see two large holes in the nylon collar. Using a new replacement nylon collar, simply reattach the points in the reverse of the above procedure, this time tightening the points in a clockwise direction (“Righty Tighty)” first by hand, then with a wrench until they are snugly seated against the receiver. However, be careful not to over-tighten and break them off. If you wish to make your own new custom nylon receiver strap, use the holes in your old strap as a template for the same size and spaced holes in your own collar. However, NEVER improvise by making your own new collar that has smaller holes than the ones in the original nylon collar. Smaller holes create complications that result in broken contact points (manufacturers will not cover under warranty). The wrong size holes will also cause a “shorting” of the correction through a damp nylon collar, bypassing your dog. Shorting renders your receiver shockingly useless. Your dog will walk out of the yard without correction. For these reasons, please purchase a new nylon strap that is already made for your receiver. They are inexpensive and keep your dog safe with a properly working device. If while attempting to remove the points, you realize the points do not unscrew, but instead, just turn and turn and turn, STOP turning them and call us. This condition means the points are broken off inside the receiver and your receiver probably no longer shocks. If you continue turning the points, the device will fail if it hasn’t already. How long will the batteries last in my collar? Your batteries will usually last for around 4 months. Occasionally a battery may last much longer. However, the life of the battery is a function of the quality of the battery, temperature of the battery and your dog’s behavior. Regularly check your receiver near the edge of your yard. Also, recall that your receiver has a low battery indicator light. A PetSafe Professional receiver flashes once about every 5 seconds or so when the battery is almost dead, whereas a Pet Stop Receiver will flash much quicker than this. Both will stop flashing when the battery is dead. Change it immediately when you first observe the flashing light on your receiver. Also, before you go on vacation, please make sure your battery is not dead. It may also be a good idea to check the battery when you come home from vacation or if you have not been using the collar on your dog for a while. Maybe it flashed the low battery alert while you were out of town, or while it was lying hidden in the drawer. If you do not test, and your battery is dead, your dog will figure it out. You never want this to happen, especially when you are on vacation and the kid down the street is watching your dog. An experience like this is quite frightening and can ruin a vacation. Warning: If your Pet Stop® low battery light blinked and the battery store tells you your battery should still be good, try putting it back in the receiver while you are still at the store. If it blinks, REPLACE it. If it does not blink when you reinsert it into the collar (“+” side facing out), then the battery is still good. The following battery information is condensed from a discussion amongst all of our dealers about battery life and why it seems shorter in the winter months. Our engineers know this and test 100% of all new batteries prior to shipment. They do not test for voltage alone but also test for internal resistance. This is because internal resistance is the best gauge of the remaining life of a lithium battery cell. Lithium cells that fall short are rejected before they are shipped. The wall-mounted Transmitter is incessantly beeping. Your Wire is cut or the wires are pulled out of the wall-mounted Transmitter or the lightning protector. If your wall-mounted Transmitter is Incessantly beeping: Your fence is not working. Your wire is cut, or a splice in your line has gone bad. The bad splice could have occurred over a year ago. It could also be the result of damage from some time ago that has finally failed. You should unplug the wall-mounted Transmitter to stop the beeping and call us immediately to schedule a service call. Note: No part of the fence works if the fence is beeping. Note: A solution you can attempt is to increase the range of the fence by turning the range adjustment knob on your wall-mounted Transmitter. If increasing the range fixes the problem, then you need not call us for service yet. Decreasing the range knob will also stop the beeping stop, but it does not fix the fence. 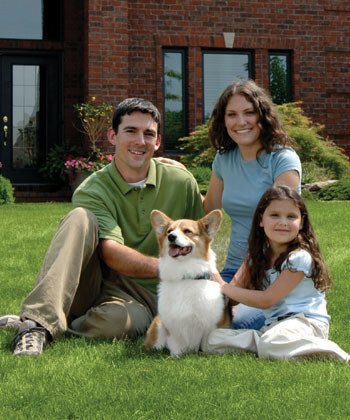 Your dog will leave the yard if you turn down the range and the beeping stops. Call us about this situation. If the wires are pulled loose from the lightning protector, the wall-mounted Transmitter will beep incessantly and your fence is not working. Note both the “Loop” and “wall-mounted Transmitter” wires are usually stapled to the wall in a single sheathed casing. As it reaches the device at the electrical plug, the wires are stripped back so that two wires are exposed. One wire is usually Black while the other is usually Red, but sometimes Green. Please note, however, the colors of the wires and tabs do not matter for either the loop or wall-mounted Transmitter. Push the LOOP connector tab of the right or left firmly away from yourself. The connector jaws will open. Push one of the stripped wires (copper exposed) coming up the wall from the “Loop” or yard, into the opening created by pushing one of the “Loop” tabs. Release the tab then gently pull on the wire to certify it is tightly connected. Do the same thing for any other loose wires. Note: Only connect “Loop” wires to the “Loop” side, and “wall-mounted Transmitter” wires to the “wall-mounted Transmitter” side. Improperly connected wires will make the wall-mounted Transmitter stop beeping but will NOT protect your dog. Troubleshoot your collar first. Then verify that someone did not pull the wires out of the lightning protector and reinserted them incorrectly. The wires from the outside should be inserted into the “LOOP” side. The wires going to the wall-mounted transmitter should be inserted into the “TRANSMITTER” side. Nothing else works. If your wall-mounted Transmitter continues to beep, inspect your work and repeat the procedure. Call us for service. Your fence is not working. If you have a range control knob, try turning it a little higher. This sometimes makes the beeping stop. Note: Sometimes this is a sign that you have a bad splice in the yard. (Remember when the cable TV or phone or landscapers cut your wire and told you not to worry because they fix these things all the time?) We cannot find a bad splice until the beeping on your wall-mounted transmitter becomes incessant. Call us when it is incessant, then we can help. However, we can find it when it is intermittent, it just takes longer and costs you more. You have to decide when it is appropriate to call us for service. Loop 2 is not lit. 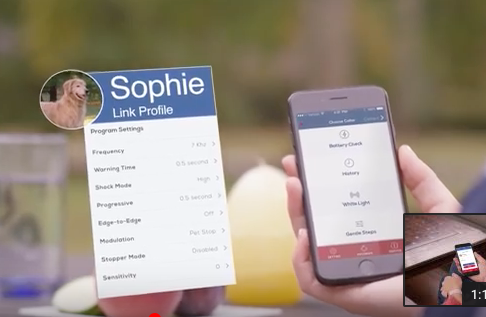 Should there be more than 2 red lights lit on my PetSafe® wall-mounted Transmitter? You discovered this because your dog left the yard and you went to check the transmitter and you see that Power and Loop 1 are lit up, but Loop 2 is off. Right? If your wall-mounted transmitter is not beeping, then nothing is wrong. 99% of our customers do not use LOOP 2. You probably fall into this majority. Yes. 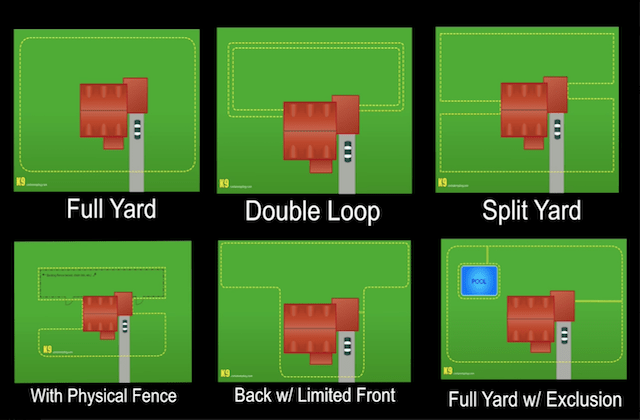 Your yard has a front and a back zone. You therefore logically believe Loop 1 is for the front or back zone and therefore loop 2 is for the other. However, the two zones are connected via the same Loop 1 and are not independent of each other. “LOOP 2” is reserved for special scenarios. In most cases, LOOP 2 should NOT be lit unless we installed a separate loop to wire inside your home, pond, pool, gate or garden. Even then, when we exclude a garden, we often still only used Loop 1. The bottom line: Your wall-mounted Transmitter is operating normally if your wall-mounted Transmitter is NOT beeping. 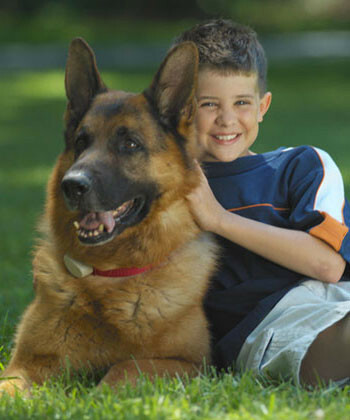 Check the collar troubleshooting tips at the top of this page to resolve why your dog left. Why are there NO Lights lit on the wall-mounted Transmitter? Check if someone unplugged the fence to plug in the Christmas lights, a tool or to charge the Barbie car. Plug it back in. Check the black power line that goes from the outlet to the wall-mounted Transmitter. Press it firmly back into the receptacle of the wall-mounted Transmitter. Turn the power strip back on. Plug an extension cord into a known working outlet, then plug the fence power supply into the extension cord. If your fence works then your outlet is not working. If it does not work, try a different outlet or a different extension cord. Plug a blow dryer or other portable appliance into the same outlet that the wall-mounted Transmitter is plugged into. If the appliance works then your outlet is good and you should call us. Sometimes a wall-mounted transmitter looks like it operating normally, but you may find that the collars are not activating at the line. This could be a symptom of a nearby lightning strike. Normally, when energy from a lightning strike attaches to a fence, the Lightning Protector (AKA Isolated Loop Protector or LP) sends the power back to ground without affecting the transmitter or the LP. However, lightning is a strange phenomenon. An LP is designed to re-ground the energy of lightning before it can enter and pass through the wall-mounted transmitter. This helps prevent it from affecting other plugged-in electronic devices. Sometimes in that process, the LP will be damaged without any outward signs. To test if your LP is working properly, follow these steps. 1) Release one of the wires from the LOOP side (one of the first two buttons on the bottom LEFT, sometimes it is the Red button #1 or #2) of the LP. (Note: By RELEASE, we mean for you to push the retention button and gently tug the wire out of the slot). Does this make the transmitter on the wall begin to beep? If YES… The LP is probably ok. Please follow this link to troubleshoot your system in a different way. https://www.petdefence.com/dog-fence-help-troubleshooting/. Scroll up this page until you find this heading: Wall-mounted Transmitter Troubleshooting. Your problem may be a bad transmitter, or you may still find something else. The final test is for you to touch both points of the collar when you are testing it by the fence outside. If you get shocked, whether you heard it beep first or not, it is working. Perhaps you did not hear it because of background noise (think Cicadas and lawn mowers in the summer and leaf blowers and wind at other times). If NO, the LP is probably the problem. Go to step 2and test further. If YES… This confirms what we thought (with the NO result) from the first step. Go to step 4. 3) Your transmitter is not working properly and must be replaced. Call us. 4) Your LP is damaged from a lightning strike. It provided the service it was supposed to provide and must be replaced in order to continue protecting your wall-mounted transmitter. Call us to have us check the rest of your fence and to replace the LP. The springy contact points are stuck up or down. (The spring contact points don’t move freely). The spring contact points are regarded as “wear items”. We have new ones in stock at our service parts store at The UPS Store at 6709 W 119th St, Overland Park, or at our online service parts store if you wish to order them. The prongs (contact points) are not electronic. They are only conductive. Just like a wire is conductive, or a steel nail, or the hood of your car. The contact points, however, do have a spring in them that on some dogs and under some conditions could become clogged with oils and tiny debris. This will not affect conductivity so much as connectivity, as a point stuck in a compressed mode may cause a looser collar (and a dog out of the yard). Stuck contacts are more typical of oily coated dogs, outdoor dogs, and larger dogs, who are inherently harder on their equipment (and all things around them). It is less common in little “froo froo” dogs like Chooch, my poodle/bichon. Before replacing them, you might try this home remedy. (Remove the point by unscrewing each one counterclockwise with a wrench). 1) Immerse the contact points in alcohol or mineral spirits (don’t do this near a fire source, and if you use mineral spirits, do it outside). Allow the liquid to soak into the inner mechanism of the spring points to dissolve or loosen gunky oils and tiny dust debris. 2) After soaking the points, (wear gloves if you used mineral spirits) twist them and work them in and out while immersed in the solvent. The action of the point moving around and in and out acts like a tiny pump or plunger helping disperse, loosen, dissolve, and flush the tiny debris and sticky oils out of the mechanism. In some cases, the spring contact mechanism can be returned to like-new condition. 3) If you used a solvent other than alcohol, rinse several times so as to remove residual solvent and associated odors that could irritate your dog’s skin and nose. Keep in mind that a working spring contact helps to maintain consistent contact and does not have to be as tight on the dog as a static point would. 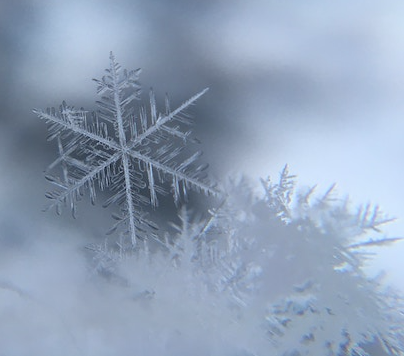 The spring points constantly seek contact. They are designed to apply constant pressure, where a static point requires a snugger fit and heavier or lighter pressure depending on the position of the neck and head. A properly working spring contact point can help ensure more consistent contact and containment. Thus, a stuck point forfeits contact, containment, and comfort. How deep is the wire? If we ran our installation machine (as opposed to hand installation) the wire will most likely be three to six inches in depth. However, it is shallower where we encountered tree roots or rocks. In areas where we knew or suspected there are phone lines, cable TV lines, outdoor lighting lines, drains, sprinkler control lines or sprinkler heads, your line is also much shallower so we could avoid damage to these facilities. Over time, tree roots and erosion will expose or lift your wire out of the ground where they could become vulnerable to everyday activities and gnawing squirrels or chipmunks. In mulched gardens or rock gardens or stone creek beds or stone drainage ways: the wire is usually stapled or placed under the mulch or laid under the stone but on top of the soil. We do this so you can locate it easily before you commence future digging. Your wire may not be deep enough to prevent damage from lawn aeration, yard maintenance equipment (lawn mowers are safe) or shovels. Even verti-cutting or cross-cutting for new seeding or de-thatching can be bad news for your wire where we are shallow around utilities or if we had to hand lay your wire under the sod, or if erosion has occurred or if tree roots have lifted your wire. If you have intrusive yard work scheduled, such as new drains, phone line or cable line burial, outdoor lighting, aeration, re-edging gardens, new edging gardens, sprinkler system installation, and repair, etc.. on your schedule, you are wise to ask us to locate where your wire is before the work. 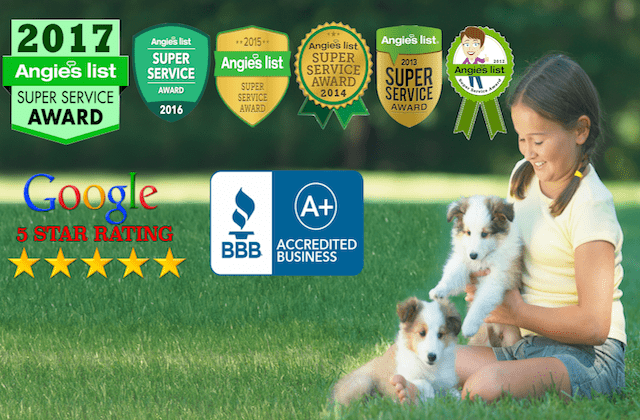 Call us for an appointment to mark your yard to prevent expensive repair work. We charge for this service, but it costs far less than replacing the line. I am going to aerate my yard. Should I have the wire located or marked first? And … I am going to verti-cut my yard. Should I locate or mark the wire first? Yes. And we do charge for this service. However, in the long run, it costs much less to have us mark the wire than to repair it over and over again as knicks in the line corrode and create new breaks in the line in the future. Please call a few days in advance of your work so we have time to efficiently place you on the calendar and to ensure we have time to make it to your home in plenty of time before your work is to be completed. 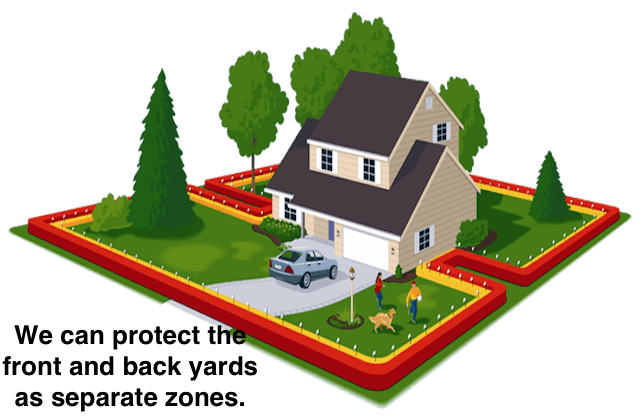 If you have us mark the yard, and the aeration company cuts or damages it, then you should hold them responsible for reimbursing you for our charges. Our marks on the yard do not guarantee that they will honor the marks, but it gives you the right to demand restitution from them if they screw it up. We charge to mark your yard before aeration or any other kind of work on your yard. The price depends on the size of the yard (time and materials). In almost every instance it costs less to mark than to fix a fence. 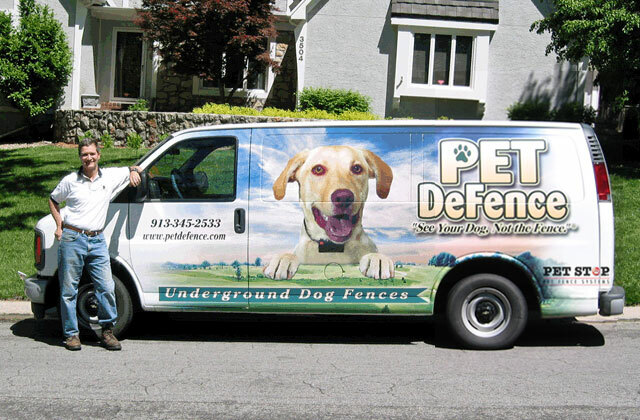 The minimum charge to fix a fence from aeration (1 cut, 30 minutes of time) is at least $135. (subject to change at any time). The problem is, sometimes an aeration job will not cut it thru, but damage it in multiple places. These places will eventually fail in a cascading fashion over time. This type of failure ends up requiring multiple repair trips. Each trip will cost at least $135. Those multiple trips usually upset a customer and stress our relationship with them. But we cannot find things that are not CUT all the way thru. Consequently, all we can do is respond to your next requests for service. We ask that you remain patient with us as we gradually work our way thru each repair until it finally quits breaking again someday. We plan to have our driveway worked on (mud-jacked, replaced, restored) and the fence crosses this area. Should we worry about our wire? Your concrete contractor can place a PVC conduit under the rebar before he pours concrete and we can then put a wire thru it, or we can put a wire down before he pours without the conduit, or we can do it after the job is done IF there are no fancy edges that you do not want us to cut with a saw. Perhaps, your best choice if we can time it well is to be there after the concrete is knocked out, but before the new concrete is poured. This is usually only a one hour window. It costs a little more to do it after the concrete is poured because we have to cut it with our saw, but it is difficult to catch that one hour window of opportunity. Nobody has been working in my yard. How is it that my wire is cut? A wire can be nicked or cut with yard aeration, verti-cutting, shovels, “For Sale” signs, tillers, stump grinders, Termite control stations, new driveway installations, shovels and most any other gardening tools. Rodents can chew into a plastic casing and sometimes bite through it. Environmental forces can damage a wire in unexpected ways. One of these forces is expansion or contraction of the ground, forcing concrete slabs in driveways, sidewalks, and stairs to compress and squash the wire so hard that it pinches it in half. Sun can damage and crack the plastic casing (even UV protected plastics will not last), so that moisture can infiltrate and corrode the wire. Dog fence wire contains a metal conductor. Professionally installed fences usually employ either 14 or 16 AWG Copper or Copper Clad Steel wire. 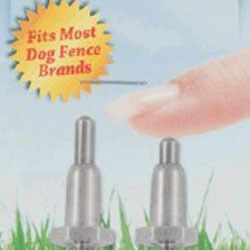 (Either is typically used in the dog fencing industry). The wire is highly conductive and also highly subject to rapid corrosion when open to a wet or corrosive environment. Tensile strength: Wire can be stretched and twisted. However, eventually, it will break. A wire’s tensile strength when it is new and in perfect condition is different from when it is older and subject to conditions which cause deterioration on the metal conductor in the wire. If too much metal corrodes away, the line may break under much less stretching force than it might have otherwise at the same temperature and pressures of new wire. Sun exposure to the wire casing: Even UV protected casing will suffer over prolonged exposure. Such damage can be seen as tiny cracks or entire pieces of casing breaking off and exposing raw conductors. This will allow water to penetrate and react with the metal. However, if sun deterioration is occurring, then the wire is probably not in a wet environment, as it is not buried so if the conductor gets wet, it will usually dry with only minimal impact. Moisture absorbent wire casing: PVC wire casing is not my favorite. PVC cased wire contains micropores that allow water penetration. PVC wire casing is also susceptible to deterioration through exposure to acids in the soil. For these reasons, we do not use PVC cased wire. We only use HDPE or HMWPE wire casings. Household electrical wire: This type of wire used to be the norm in this industry, but over time it proved to be inappropriate and less desirable than the wire we use today. Household wire, while double cased (The outer case is clear) it damages easily and ultimately degrades from long-term ground contact. What happens to wire over time? Time – Conditions constantly change over time. Heat, cold, wet, dry, digging, shaking, movement, shovels, rodents chewing, splices, nicks. All things are possible given enough time. An intrusive yard job (Aeration, verti-cut, sprinkler system installation, outdoor lighting, cable TV lines, etc.) can cut cleanly through a wire, and other times nick or skin a wire. Our dog fence wire does not heal itself like you or I if we cut our finger or skin our knee. A single nick in a line is bad, as it eventually corrodes given enough time and exposure to moisture in the soil. The oxygen of water binds to the copper and corrosion begins immediately. Eventual corrosion creates a weakness in the wire in that spot. Over time, ground settles then swells again like a big sponge. Expansion puts pressure on a wire and stretches it. Eventually, the stretching wire breaks due to pressures exerted by the pulling forces of the swelling ground around it. Worse still, multiple nicks. This sometimes happens in multiple places during the same yard or over multiple jobs in the yard. For instance, lawn aeration, or burying a communications line can nick the line multiple times, and maybe even cut it clean thru a time or two. Clean cuts in yards with just the right amount of moisture in the ground are relatively easy to find for us. But dry the ground out too much, or put too much moisture in the ground and it gets tricky and takes more time. Nicks in the line don’t present immediate problems to the system. However, one day, months or years from now, they will begin to fail in a cascading manner. This means that you unplug the fence when the first one fails, then the others may soon fail shortly thereafter. We do not know if the one break is the first of many more to come, or the one and only. Though, with a Volt/Ohm meter, we can generally tell if there are other problems in the yard, such as bad splices. That doesn’t mean we can find the bad splice, only tell that it/they exist. Wind? Yes. Even wind. Wind dries out a yard. When the yard dries out, cracks open in the ground. That causes pressure or pulling forces on a line. As moisture content is lowered, then a yard’s soil is less conductive and a bad splice may cease to carry enough current and a wire break alert can sound. Wind also exacerbates a bad splice situation when the bad splice is near a tree that can move as the tree sways a little. Gentle swaying rocks the ground in the vicinity of the tree. This slight movement shifts the ground around a tiny break or bad splice. Continuous pulling of the wire just a tiny bit over and over again can cause a splice to separate, or a nick to break or pull and relax, pull and relax. Connect, disconnect, connect, disconnect. Lightning strikes near enough to the line are a problem as the high voltage and amperage of lightning can blow bad spots out like a fuse gets blown in your car or home. Another way a nicked line can affect us is that sometimes after a wire pulls apart and breaks, it can also move back together as the ground shrinks and expands, over and over. The close proximity of the two wire ends and the electrical current in the line carried across a short distance (thanks to moisture and sometimes even high conductivity levels of some soils is sufficient to allow the fence to operate again. Some waterproof and direct burial wire connectors fail over time due to lightning strikes or the waterproof materials drying out or incomplete submersion of the copper wires into the waterproofing connector gel. Moisture causes expansion and contraction of the soil – Think of a sponge on the counter behind your sink that is sometimes dry and shrunken while other times it is wet and full. Imagine a wire in that sponge that under proper conditions will expand to the size of the sponge. However, damage the wire, and it is subject to breaking under the pressure of expansion. On the other hand, damage on a wire in a dry area may never become an issue. This may happen if a wire is buried in dry sandy or rocky soil. Well-drained soil allows the moisture to drain away so the wire remains relatively drier, slowing corrosion. A wire stapled to a fence post, chewed on by a rodent may also never fail from corrosion. Also, a damaged wire laid on top of a garden may also not corrode as quickly as one under the mulch or in the dirt. Clay soils hold the moisture longer. Well-drained sandy soils corrode slower than clay soils. H2O Content of soil aids in the conditions required to cause wire corrosion. Water can also help delay some wire break alerts by conducting electricity thru the moist soils. Some soils are more acidic than others, hurrying the corrosion process. Another factor to consider is the effects of electrolysis. This is where electrons of dissimilar materials will migrate from an area of high concentration to a lower concentration. In the dog fence world, we recognize this effect and are aware that even a bad splice or open nick or scrape on a wire will fail slowly if there is a steady low voltage energy supplied to the wire. The Conductivity of soil changes as moisture is added. Some soils are more conductive than others. This happens from dissolved fertilizers containing salts. Any concentration of salt creates a corrosive environment. Aqueous saline solutions flowing by chance to, around and thru the vicinity of exposed conductors create potential for invasion of corrosive moisture and materials to the copper wire. A wire loses electrons to the environment. This causes a wire to thin and break or change to a less conductive state, creating a wire break or wire break alert. Use of fertilizers – Fertilizers increases the conductivity of soil and aids in Electrolysis. Electrolysis occurs quicker with higher concentrations of electrolytes in the soil. Soils that receive fertilizers have more metals and electrolytes in the soil. This allows corrosion to occur more quickly. Add moisture (irrigation systems) to the soil, dissolving the salts, and metals into liquid solutions that penetrate a wire nick or bad splice (wrapped in electrical tape), and the corrosion will occur more quickly. Acknowledging that a fence with a constant low voltage power supply with a wire/line resistance below the minimum threshold to trigger the wire break alarm corrodes slower than one with the power supply removed at a higher than optimal resistance. What do I mean by that? If you leave your fence plugged in, the bad splices and nicks corrode slowly. On the other hand, if you unplug an otherwise normally operating fence with nicks and bad splices, the lines are exposed to a lower naturally occurring nominal electrical background of the earth. In this environment, a wire will often deteriorate quickly. Thus, a fence left energized, albeit in a state of high resistance will generally not trigger a wire break alert for much longer than one left unplugged. This theory is important because once a fence fails from one event, by the time we get there to fix it, we often find many old damaged areas that have failed since you placed your call to us for help. Or maybe you waited weeks or months or even years to call us. That’s OK and maybe even a good thing because while you waited to notify us, other spots that were going to fail in a few weeks or months were allowed to fail early and we can fix them all at the same time with fewer service calls and lower overall cost to you. But when it fails again days or weeks later, we always hear the same thing from our customers… “You were here to fix our fence, and it is beeping again.” We hear that you are frustrated. What we also hear is: “You didn’t fix my fence”. Bad splices are the crux of many service calls. This creates an intermittent situation where the fence will work for a while, then stop, then start, then stop. This happens when an improperly spliced line gets moisture into the splice causing corrosion between the two wires. Corrosion creates resistance and weakness in the line. High resistance causes a wire break alarm to trip, and the weakness of the splice can cause it to pull apart. When we suspect that the line will fail again because of high Ohm readings, or fluctuating readings caused by bad splices or shifting ground around broken wires, we will inform the homeowner that they will be calling us again. Sometimes that can happen before we can get out of the neighborhood. Other times it takes hours or years. A succession of breaks is very frustrating for a homeowner. They always want to blame us for not fixing it right the first time. This is why we offer to go back for free to check our work. We expect with 99% certainty that we will find another break or another bad splice that someone else made before us. When we find someone else’s bad splice or another break we charge again for our service. When wires fail from nicks and bad splices in the wire, a customer can usually count on seeing us multiple times before we can work all of the bad spots out. Each trip will cost the owner money again and again. Those multiple trips usually upset a customer and stress our relationship with them. But we cannot find things that are not CUT all the way thru. Consequently, all we can do is respond to your next requests for service. We ask that you remain patient with us as we gradually work our way thru each repair until it finally quits breaking again someday.